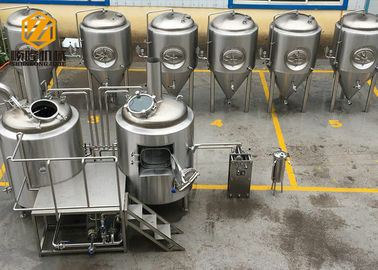 The beer brewing plant is developed based on the traditional brewing process and modernization machinery. It contains crushing system, saccharification system, fermentation system, filtration system, refrigeration system. The equipments are well-made, easy to operate and effective, making the complicated process simple and efficient. The various kind of beers produced by the beer brewing plants, including dark beer, bright beer, green beer, wheat beer and Barley wine, hare pure taste, are very popular. Free of high temperature sterilization retains the special flavor and nutrition of beer. 8-12 days of brewing cycle is very economic and efficient. 1. 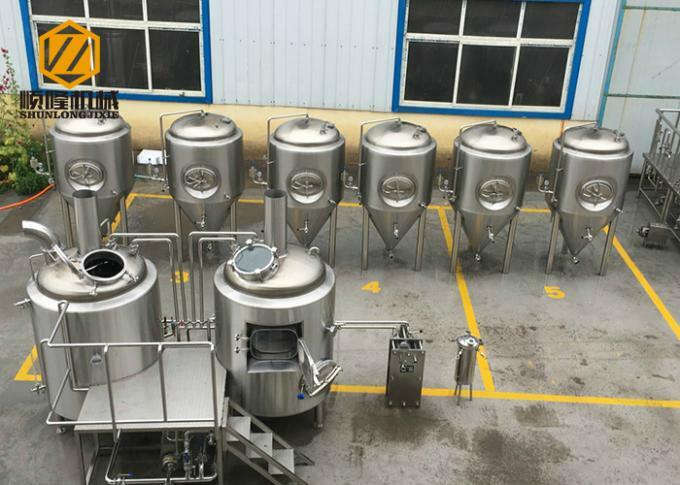 The unite can meet the wort production requirements of self- made beer bar and can complete the whole process from grinding of raw material, material feeding, saccharification, wort filtration, boiling, settling and cooling to the final oxygenation. 2. 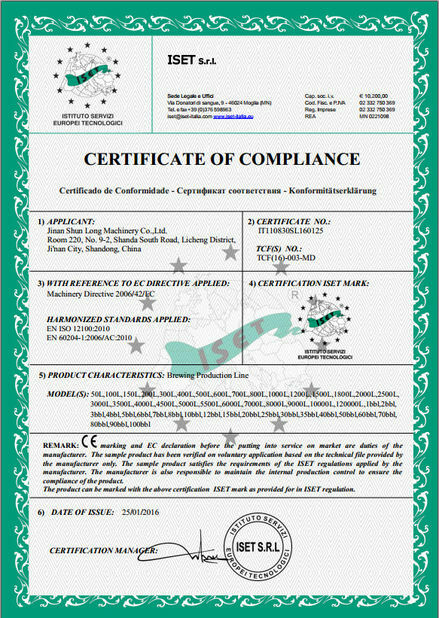 The whole equipment are made of high quality stainless steel which meets the international and national hygiene and safety standards. 4. Saccharification filtration tank is equipped with variable frequency mixer which can achieve the exchange of rotating speed from 50r/min and meet the requirements of rotating speed for saccharification mixing and filtration tank mixing. 5. Operation and control are achieved by automatic control or semiautomatic control with computer industrial control system. 6. Input and output of material and self- circulation are connected by sanitation material pump and hose and the cleaning adopts CIP cleaning tanker and hose connection to achieve self-circulation cleaning. 7. Connection type of pipelines for requirements is quick assembly which is convenient for cleaning, maintenance and repair during production. 8. Reasonable design, delicate, process,nice appearance,durable service, easy for operation, repair and maintenance. Our market team can serve you in 24 hours, so please feel free to contact at your convinent. Our dedicated engineers can supply 2D,3D drawing for you if you needed. If you need to inspect our factory, we can book the hotel and make the invitation letter for you. When shippment, we will supply a whole set of parts for backup. If there is any parts damaged, we are surely can send the part to you in 24 hours. 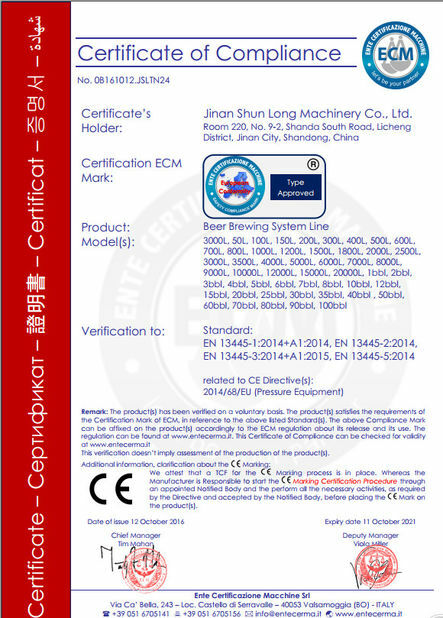 electrical components is 18 months warranty, life long service.